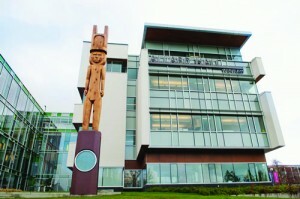 UBC's Okanagan campus opened in Kelowna in 2005. As UBC celebrates its Centennial, we are also celebrating our 10th anniversary, and looking forward to growing our influence—with your support—in the decades to come. Our supporters have already had a big impact all across our campus. Make a difference at UBC Okanagan by making a donation today. 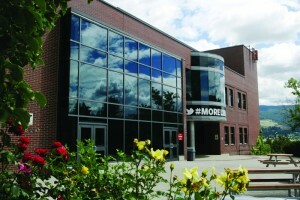 The Okanagan campus is an intimate learning community embracing bold new ways of thinking that attract exceptional students and faculty. You can make a difference in many different ways through UBC Okanagan. You can support research excellence that transforms social, economic and environmental fields. You can invest in our students who motivate change locally and internationally. And you can strengthen ties with students, alumni, scholars, volunteers and our community, creating solutions that will impact our Okanagan region and beyond. More than 8,300 students from throughout the Okanagan region, across Canada and 80 other countries are enrolled in undergraduate and graduate programs in eight faculties and schools. All across our campus, donors are empowering students and faculty to perform research and create new innovations that will help create our future. Make your gift today. Receiving a UBC Okanagan Bursary gives students the opportunity to pursue their passion and take their achievements into the world. Your support allows these talented individuals to focus more time on their studies, reduces the burden of financial worry, and allows them to become more involved in the unique opportunities that UBC’s Okanagan campus provides. The Aboriginal Programs & Services Fund helps to provide culturally appropriate support to First Nations, Metis and Inuit students. Your support demonstrates your commitment to enriching the quality of the student experience for Aboriginal students—by promoting greater access, providing capacity building opportunities and celebrating success. 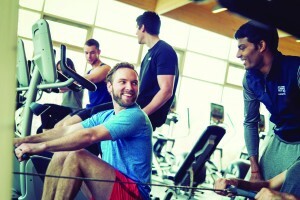 The UBC Okanagan Campus Recreation Fund supports student clubs at UBC Okanagan. Please combine your energies with ours and support recreation and intramural programs that inspire community spirit on campus. You will help provide a new generation of students with increased opportunities to compete, learn new skills and create powerful memories. Okanagan students have shown they are passionate advocates of the importance of libraries, by voting to increase their own fees to help pay for improvements to the campus library. You can join them by giving to the UBC Okanagan Library Improvement Fund and helping to create a modern and well-equipped learning space, befitting of a global university.